Arriving in Nome feels somewhat electric. When I arrived at the convention center they had the box my daughter had sent from Anchorage. What a joy that was – a change of clothes etc. I warmed up, took a shower and changed just in time to head down to the burled arch. I found Finney and Linda along the chute and we waited for Dallas to come in. I think I was colder there than I had been anywhere all week, but that was because I was standing still, which I seldom did along the trail. Dallas’ dogs looked great running under the arch. Their eyes actually sparkled as they watched the crowd go by. It was good to see such brightness after so many cold miles. We caught a cup of coffee to warm up and went back out to see Aily come in. 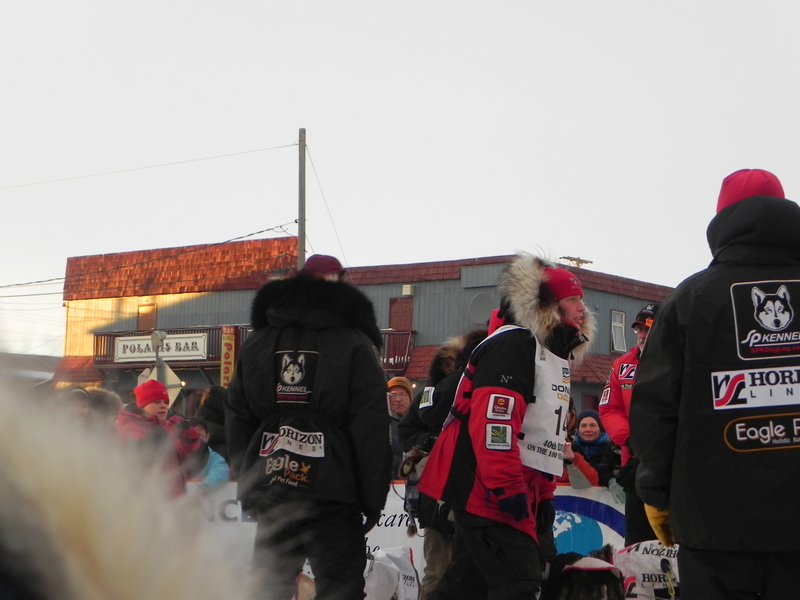 Her dogs also trotted right through the chute proud to have arrived. Aily was her usual joyful self, complimenting Dallas on his win and saying that he did it by thinking and listening to his dogs, which she had great respect for. 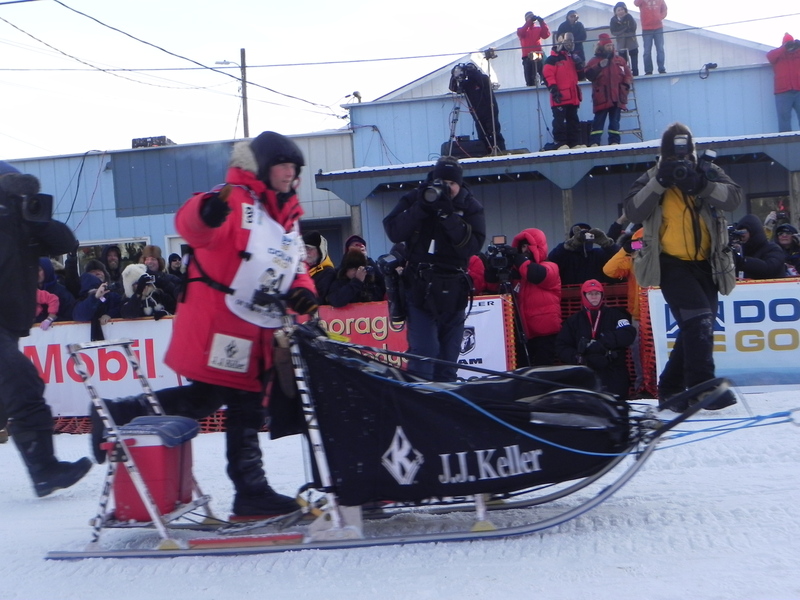 I am looking forward to welcoming musher after musher and trying to keep warm in between. I will also try to find the most interesting places in Nome to share with you.